Bedtime stories are an important part of your little one's childhood. This is the time when you can forget about the troubles in the world, and enjoy a special bonding time before your children enter the land of nod. Choosing the right book can be tricky, how do you find the right tale to inspire busy little (wandering) minds? 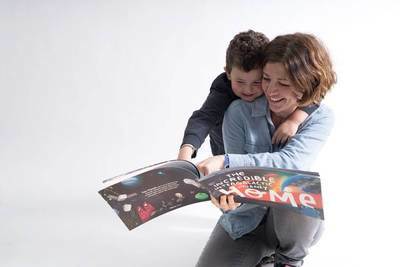 Thanks to Lost My.Name; a personalised children's book series, storytime becomes an exciting part the bedtime routine, giving your child something to look forward to at the end of a busy day. The award-winning independent technology and publishing business has become world recognised for their innovative Lost My.Name book series. These magical children's books incorporate the power of storytelling, beautiful illustrations and technology, to deliver unique books to children all over the world. To date, over 1 million books have been delivered to young book worms in over 178 countries. What makes Lost My.Name so special? So what is the magic ingredient? What makes Lost My.Name books so special? You supply your child's name and address, and choose the appropriate character to match your child, and in return you receive a book in the mail that is completely unique to your child. "A courageous journey personalised to the letters of a child's name." "An adventure from outer space personalised to a child's home address"
How do you order a Lost My.Name book? Simple. 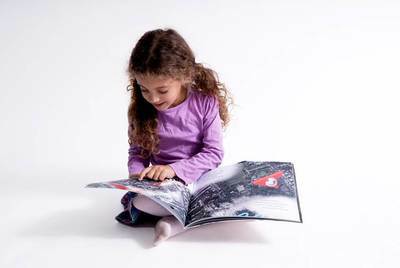 You create your child's book online, by completing the relevant information required when prompted. Preview the book online, and order for $39.99. Shipping is FREE. What did Junior KidTown think of Lost My.Name? Lost My.Name wins in our house! Junior KidTown thoroughly enjoyed his own Incredible Intergalactic Journey Home, so much so, his special book is now a daily read at bedtime. Turning each page to find his character journeying on an imaginative story across outer space, only to find his way home to his actual home is such a special way to ignite his young mind! What is also great about this book for a toddler like Junior Kidtown, is providing him with a special way to identify the letters in his name; he'll be recognising his first name in no time! The above, coupled with the book's sweet illustrative style and story, make for a wonderful little addition to any child's bookshelf.